From the director of Taken comes The Gunman, a pulse-pounding film with two-time Academy Award-winner Sean Penn. It’s been eight years since Jim Terrier (Penn) worked as a black ops assassin and now someone from his old organization wants him dead. Pursued across Africa and Europe by elite hitmen, Terrier is dragged back into his dangerous past as he engages in a relentless cat-and-mouse game to take out the man who betrayed him. The thrilling ride of a movie is enhanced with Dolby Atmos, which allows viewers to immerse themselves in the action and brings the fight scenes to life. The unique audio positioning functionality of Dolby Atmos means that sounds exist as individual entities that are precisely placed and moved in three-dimensional space. For instance, every audience members can hear individual bullets zip past them as the gun fight scenes rage on. 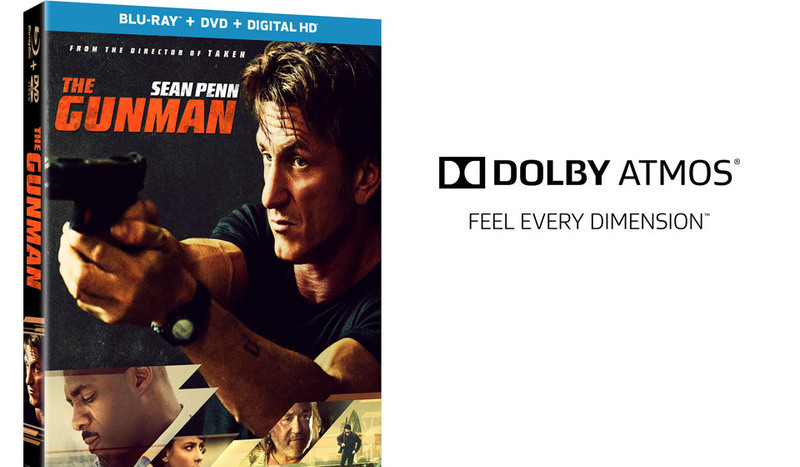 Dolby Atmos brings movies to life by creating an immersive audio environment, improving the viewing experience even if you don’t have a Dolby Atmos sound system at home.